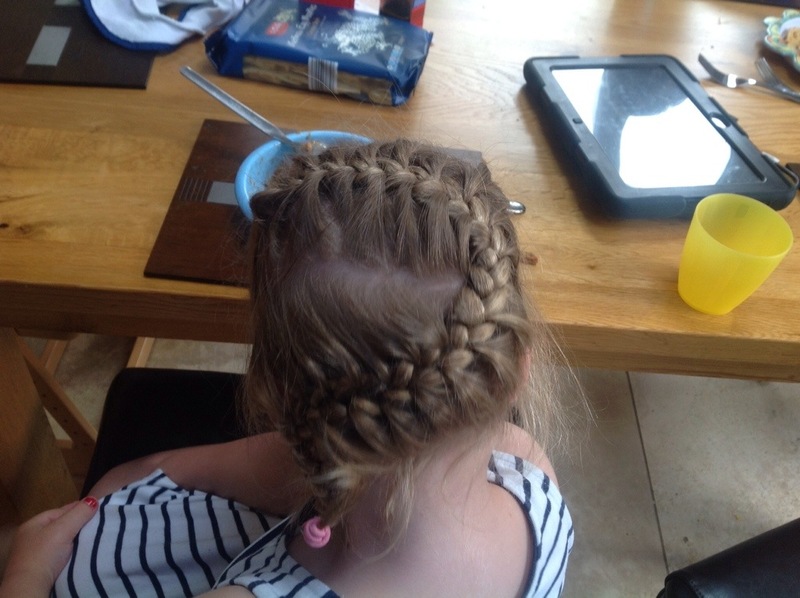 I have never been great with my own hair, but I love plaiting my daughters. 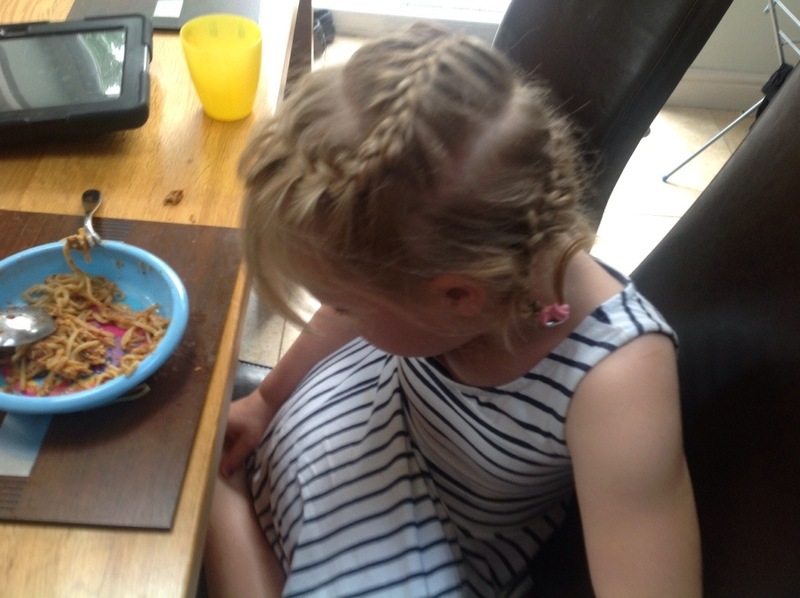 I have love plaiting since the age of about 10 when I used to insist on plaiting a 5 year old family friend. I don’t think she enjoyed the experiences as much as me. This particular picture was taken after she had worn it for 12 hours, with two hours in a paddling pool and a half hour swimming lesson. It held really well. It is actually pretty easy to do, it just involved sectioning of the hair has you want to use it, the combs with the thin end for sectioning is ideal (although I can never locate one when I want one). 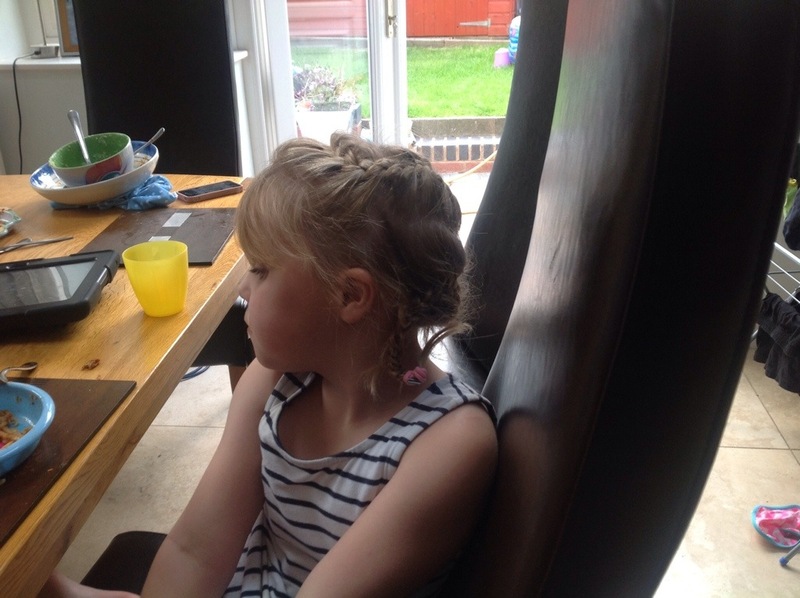 I move to the side of my daughter so I am always plaiting vertically if that makes sense. 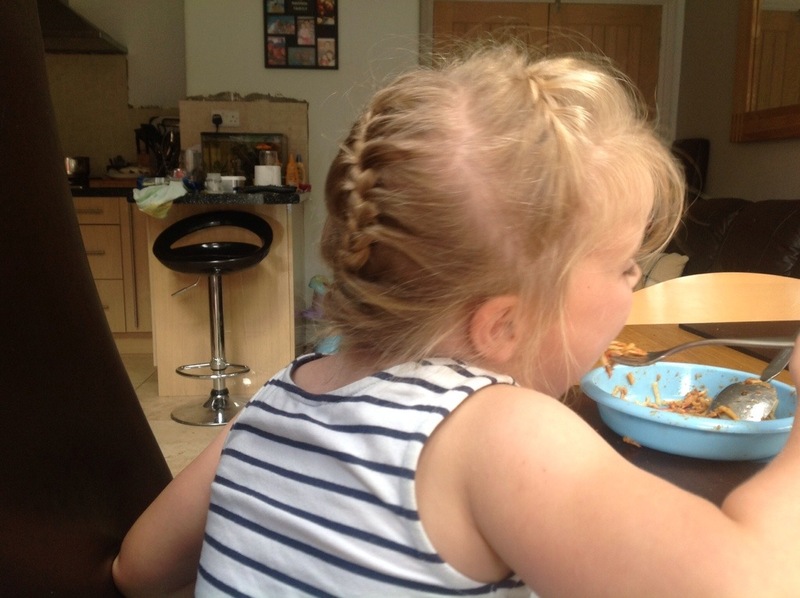 When I get across the head, I plait a bit more than I end and then put a bobble in, I then section the next part of the hair and repeat.